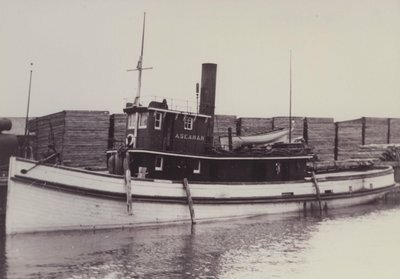 1878 Owned Samuel Hopkins, Pt. Colborne, ONT. 1882 Owned Hanna & McCopins, Toronto. 1894 Rebuilt, 69.5 x 15.2 x 7.2'; 76 gross tons/52 net tons; renamed A. SEAMAN. 1906, Dec 21 Registration closed, "ship totally lost 1905 Sep 5"
1906 Possibly rebuilt as PROPELLER CITY OF MEAFORD 328 gross tons; unlikely, considering size differences.